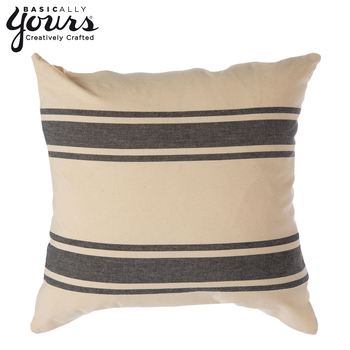 On a recent trip to Hobby Lobby, I purchased a Basically Yours Natural and Black 18" x 18" Pillow Cover. 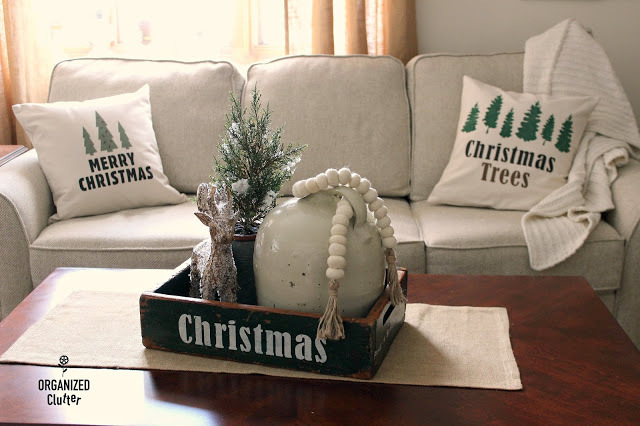 The standard sofa pillow size is 18" x 18", and I like to purchase plain pillow covers at Hobby Lobby (when they are on sale) and decorate them with stencils. My daughter wanted a Minnesota state pride pillow cover for her sofa. 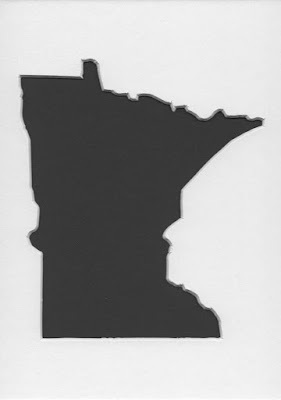 A year ago, I purchased a Pack of 3 Minnesota State Stencils Made from 4 Ply Mat Board 11x14, 8x10, 5x7 from Woodburn Stencils through Amazon for $6.99. 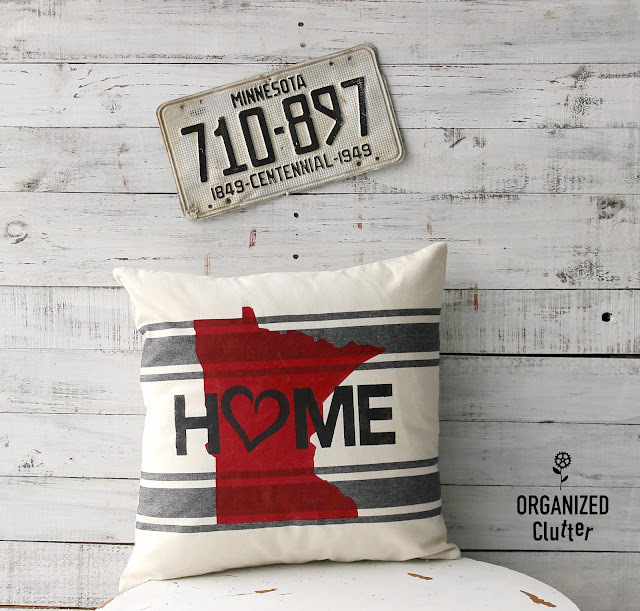 All states are available. These paper stencils work well, but you have to be more careful with them than the plastic ones. I taped the 11" x 14" stencil onto my pillow cover with blue painter's tape. I measured with a wooden ruler to center the stencil on all sides. 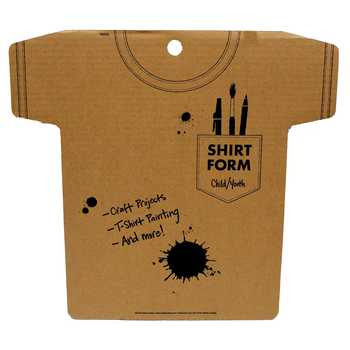 I used this cardboard tee shirt form from Hobby Lobby in between the layers of the pillow cover to prevent the paint from bleeding through. I used DecoArt Chalky Finish Paint in Rouge to pounce on the Minnesota stencil. I like these inexpensive paper stencil packs from Folkart. They too are cardstock (and have to be punched out like paper dolls). 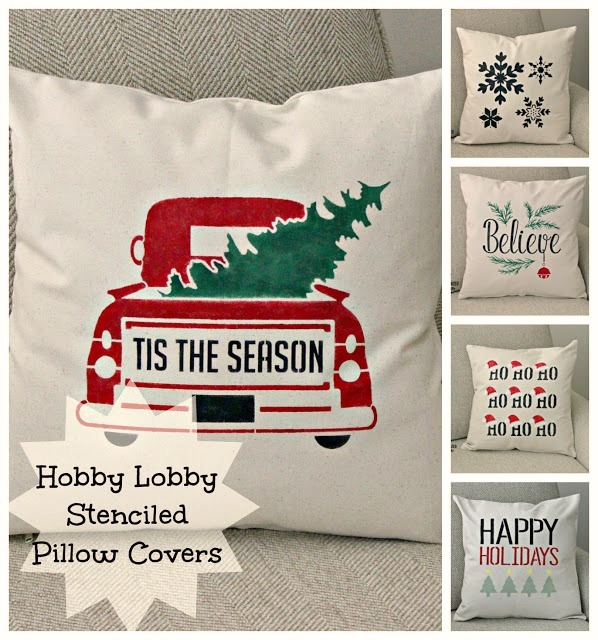 I have several packs, and they are great for pillows and seasonal signs. This Sign Making Variety Pack is Folkart's most recent stencil pack, and I found it on the Plaid website. Besides having to carefully press or punch out the stencils along the perforations, the stencils sometimes have very noticeable bridges. (I will not be using the "Welcome" part). 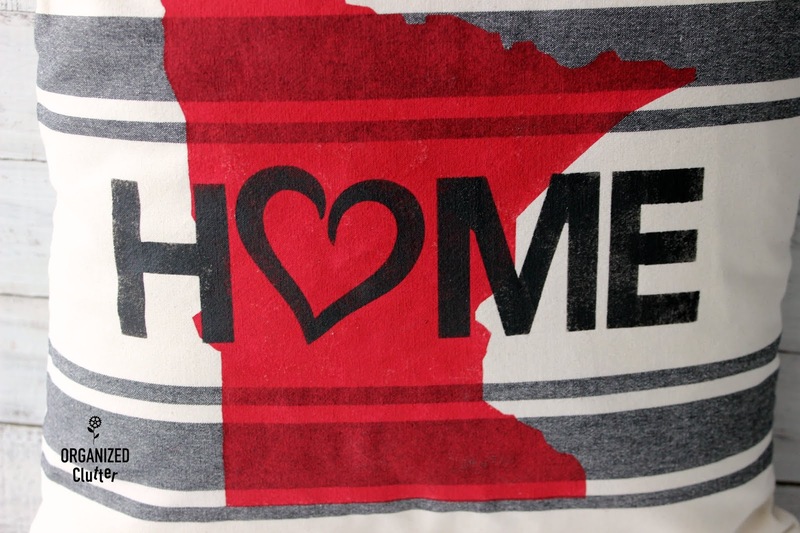 This "Welcome Home" stencil design had very noticeable stencil bridges. 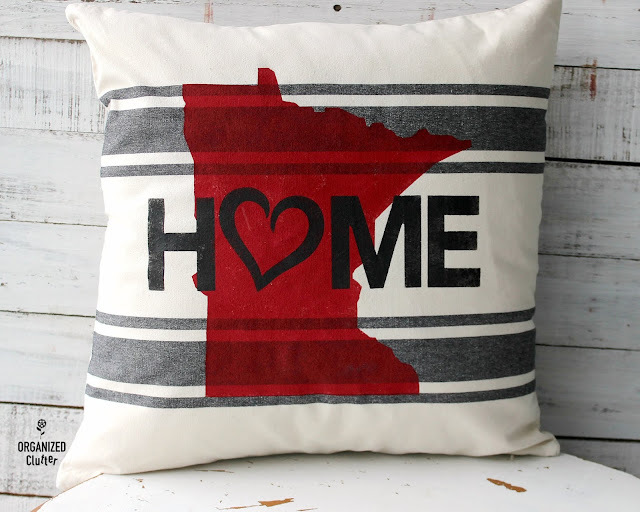 I stenciled the "Home" with Fusion Mineral Paint in Coal Black . Next I grabbed my blue painter's tape to tape off the stencil bridges so I could stencil those areas. I like this method best to fill them in. You can also use a fine paint brush to connect the letters across the bridge. 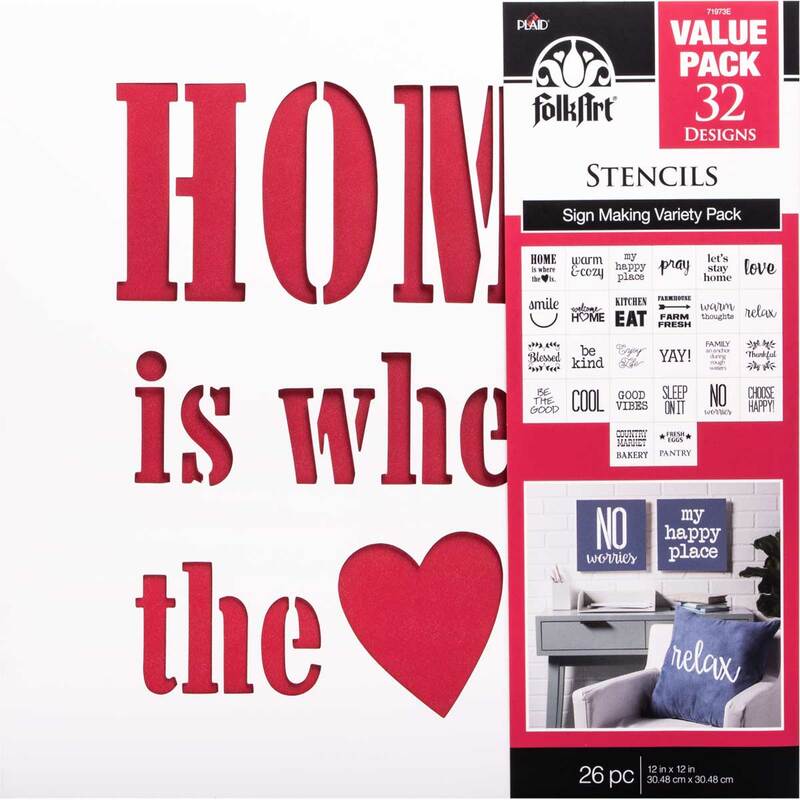 Designer stencils, purchased individually, typically have stencil bridges that blend into the letters well, and are not that obvious. I usually do not fill these stencil bridges in. I actually think the bridges make it seem like a real sign! 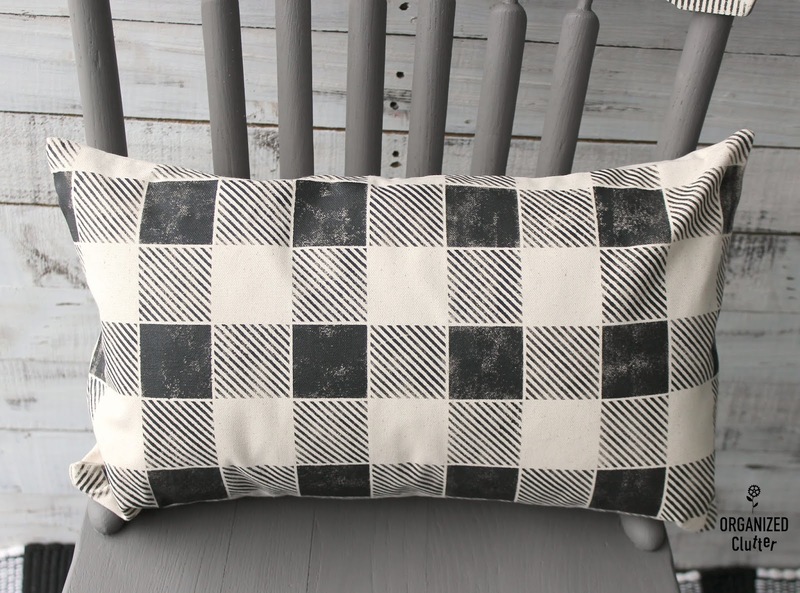 You can iron the pillow covers with a pressing cloth or from the back side. Don't iron on the painted stencil design. Here is a close up of the stenciling, including the painter's taped stencil bridge connections. I think my daughter will like it! It will look great on her black leather sofa. Have you tried stenciling a pillow cover yet? Have you even tried stenciling yet? 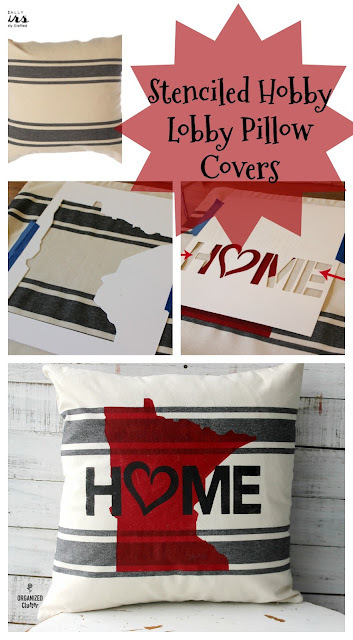 More stenciled pillow cover ideas.